• Diploma in Hydrogeology and water well drilling or related field preferred. • Proficient in a wide range of borehole drilling supervision, borehole yield measurement techniques, including geochemistry interpretation, structural interpretation from geophysical data and use of ArcGIS. 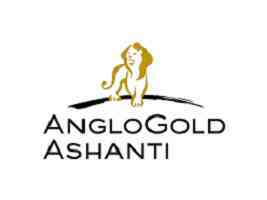 • Valid Tanzanian Driving License and able to drive in Mining environment. Experience: A minimum of 03 years’ experience specifically in mining industry. • The purpose of the role is to assist Hydro-geologist II in conducting hydro-drilling supervision, data collection and monitoring so as to achieve all hydrogeology works in time and within budget allocated. • Conduct Hydrogeology work within the limits of knowledge and liaise with Hydrogeologist II to maintain high quality work. • Perform activities in the field in a safe and sustainable manner, in accordance with the HSEC requirements/ standards. • Ensure high quality data collection and ensure appropriate information is captured. • Ensure appropriate quality control procedures are followed, including reviewing the samples reported. • Ensure security of all samples and analytical results and ensure confidentiality of all company information. • Comply with all applicable AGA policies and procedures. • At all times act in accordance with AGA’s Values. • Commit your best endeavors and full capability to the work assigned to you by your supervisor/manager. met within limits or can be met with less time or resources than planned. • Seeking opportunities for learning to improve safety performance. • Must have good written and oral communication skills in English Language. • Good awareness and abilities to manage safety, health and environmental requirements in the workplace. • Be physically and mentally fit and hard working. • Ability to maintain composure under stressful situations and conflicting priorities. • Able to apply practical field experience and technical skills. o Monitoring data collection, data entry onto appropriate computer software programs, and data interpretation. Application cover letter (Subject should be: Technician I – Hydrogeology and/or quote the job number), detailed CV, copies of relevant certificates, e- mail and telephone contacts, names and addresses of three referees, to be forwarded to below address. You will be required to bring original certificates if you are contacted for interviews. NB: Internal applicants may submit applications to departmental HR Officer. All internal applications must be endorsed by the applicant’s head of the department. Application Deadline: Application letters should reach the above on or before 16th April 2019, 17hr30. Only shortlisted candidates will be contacted for interviews. BEWARE OF CONMEN! GGML does not receive money in exchange for a job position. Should you be asked for money in exchange for a job offer or suspect such activity, please report this immediately to our Security Department, Investigation Unit, by calling +255 28 216 01 40 Ext 1559 (rates apply) or use our whistle-blowing channels by sending an SMS to +27 73 573 8075 (SMS rates apply) or emailing [email protected] or use the internet at www.tip-offs.com.